From one all-conquering genre behemoth to another. Before League of Legends was the most popular game around, there was another titan: World of Warcraft. The fantasy MMO reigned as king from vanilla through to its third expansion, Wrath of the Lich King. Similar to League of Legends, the game constantly updated with balance patches (although content updates were slightly more sparse, due to the very different natures of the game). It was during Cataclysm that World of Warcraft started to decline, slowly trickling away numbers. This decline continued during the following expansions, Mists of Pandaria and Warlords of Draenor. League of Legends swelled during the fall of World of Warcraft, collecting the errant players and becoming a behemoth in its own right. Now, World of Warcraft has released Legion and entered a second golden age. The game is sitting back at a comfortable 10 million subscribers, and proves that even an older game can be restored to glory. World of Warcraft has had a fascinating life in the limelight, and as the current game du jour, there’s a lot that Riot Games can learn from its resurgence. The games may be in different genres, but many of these lessons are applicable to League, too. Miss out on the dramatic finale for this year's League of Legends World Championship? Check out Cassandra's writeup here. League of Legends is constantly changing. Most of these changes are welcome, whereas others are greeted with annoyance or outrage. Plants are one new system that the community disliked, but champion reworks are often celebrated by the community. The difference between a popular change and a controversy is usually whether the change feels like League. A lot of the changes made to Legion were made to make the game feel more like the World of Warcraft that fans remembered, after a number of diversions from that model with systems like garrisons in Warlords of Draenor. Instead of going to new timelines, we’re heading back to Azeroth, and revisiting old zones and stories. It’s true that League doesn’t leave the Rift, but Riot continually has to remember what brought fans in and avoid tweaking the game too radically from its core. Change needs to be careful, but a lack of content kills games. This is a careful balancing act. People like to watch the meta evolve over one patch, but a lack of new content grates fast. Both Cataclysm and Warlords of Draenor had strong launches, but content petered off in the coming weeks. League has continually provided content, including skins, seasonal events, and lore launches. They’ve especially stepped up and killed the longstanding memes of replay, clients, and a sandbox system by announcing new content to address that. You’d think that releasing these content would buy them some time off, but this isn’t the case. Cataclysm overhauled Warcraft’s old world and delivered a totally new leveling experience, which was badly needed. Warlords of Draenor had a content packed launch and offered a lot for players in its early days. Neither of them were able to follow up, and players left. Players need to stay entertained, and Riot will need to continually provide them with the content for that. Blizzard messed up. Warlords of Draenor, especially post-launch, was a disaster that caused the game to bleed subscribers. There were multiple choices that led to this: the isolation of the garrison system, the lack of raid content, the list goes on. Fans returned to Legion, but it was with a bitter taste in their mouth, and they were vocal about this. Blizzard was humble in response. They acknowledged that they had driven their players away, and thanked them for giving the game another chance. Some companies—Riot among them, at times—would have insisted that there was a plan behind their previous choices. Riot has defended Dynamic Queue, an unpopular system, even as they bring solo queue back. As a company, they see a great amount of value in the journey. 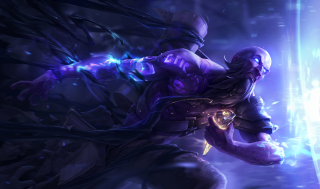 A failed system is a lesson learned, and they rarely admit that it may be frustrating for players to deal with, say, a third Ryze rework. Sometimes it can be very powerful for a company to admit that they messed up and apologize to players. Even if you do better, saying that you have things to improve on can buy a lot of trust. There’s a fine balance to announcing content. Riot learned a valuable lesson with Magma Chamber, the new game mode and map that went through multiple variations before falling off the radar. Finally, Riot announced that there would be no Magma Chamber, and they regretted announcing it at all. On the other hand, sometimes Riot will just drop content on the PBE and let people react. The latter is definitely cool, but it adds an unpredictable element to fan perception. Riot have admitted they don’t like to announce things too far in advance, burned by too many cancelled projects. Blizzard has taken a step towards a very specific level of communication. After Legion dropped, they announced a content patch for Return to Kharazan. Even though players still had that new expansion honeymoon glow, Blizzard alleviated their specific concerns with a slightly early announcement. There’s a fine art to these kinds of announcements—too early, and you lose hype. Too late, and you don’t build up anticipation. For years, companies made games that were deemed ‘WoW killers’. These big budget, polished fantasy MMOs would surely be the thing that took WoW’s players and sapped the fun out of the game, right? Unfortunately, they fell. Whether it was Warhammer: Age of Reckoning or Wildstar, no MMO could challenge the king. It was a totally out-of-left-field wildcard that ended up becoming the next big sensation. League of Legends may be the most popular game on PC at the moment, but there’s already one major contender in Overwatch. The next game that reaches this level of success won’t be a MOBA. Chances are, it’ll be something that none of us see coming. There’s room for more than one popular game, however, and if Riot learns from its predecessors in Blizzard, there’s a good chance that they can weather the storm of the coming years.